Throughout the year, the Mercure Pont d'Avignon Centre hotel designs and organizes a Brunch on the last Sunday of the month. We also sell entry tickets for Parc Spirou theme park and combined passes for the Palais des Papes and Pont d'Avignon. Located between the Pont d'Avignon and Palais des Papes, this Mercure hotel benefits from an excellent location right in the city center. A stone's throw from the convention center and the central train station, the establishment has quiet and modern room s that exude a sense of well-being. After a day of work or sightseeing, relax in the hotel's small garden or enjoy a drink in the lounge bar. Enjoy a business or leisure stay in this Mercure hotel where you can taste the Provencal art de vivre and its gastronomic specialities. Discover a region rich in history and heritage between the Roman and mediaeval eras. 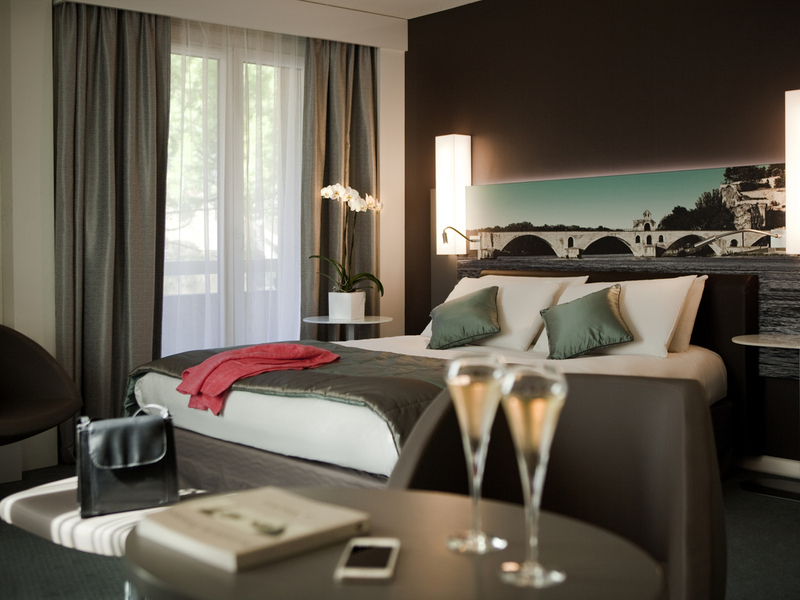 In a quiet, city-center location, between the Palais des Papes and the Pont Saint-Bénézet. Take a moment to relax in our comfortable rooms, decorated in a welcoming style in Mediterranean colors. Choose a Standard Room with a double bed or twin beds. We also have family rooms.